A Harvard doctor says she was racially profiled by flight attendants on a recent flight. Dr. Fatima Cody Stanford, who is black, was flying home from Indianapolis earlier this week on a Delta partner airline flight when a passenger next to her began hyperventilating. Stanford, of Harvard Medical School and Massachusetts General Hospital, was assisting the passenger when a flight attendant came by to ask if she was a doctor, according to CNN. Even though Stanford made clear to the attendant that she is a doctor, a second flight attendant came over to inquire about whether Stanford had a medical license. After presenting her license, both flight attendants came back yet another time to ask if the license truly belonged to Stanford. The continued questions about her credentials, says Stanford, were likely tied to the fact that she is a black woman. Stanford also tweeted about the incident, which led the airline to reach out to her by email on Wednesday morning. “@delta I am very disappointed that your policies on #Diversity have not lead to any change. As a #blackwoman #doctor who showed my #medical license to help a passenger on DL5935 your #flightattendant still did not believe I was a #Physician. @DrSinhaEsq @DrKathyHughes,” Stanford tweeted. “@Delta my experience last night when a fellow passenger needed help shows that being a @harvardmed @MassGeneralMDs does not shield from #racism #WhatADoctorLooksLike #ILookLikeADoctor #ILookLikeASurgeon #BiasInMedicine #implicitbias #BlackWomenDoctors do exist,” Stanford wrote in a second tweet. Stanford then added via Twitter that she's skeptical Delta will make any policy changes after a conversation she had with the airline about the incident. Stanford said she was informed by the airline that the flight attendants mistook her for a therapist. “So I spoke with @Delta and I left the conversation quite uncertain that any changes will be made. Summary: flight attendants thought I was a #therapist despite #MDlicense. They will make sure this is addressed. Thanks for being a #skymiles member. Really? !$ #iamadoctor,” she tweeted. According to the New York Post, Delta has apologized to Stanford in a statement and also said it plans to initiate a full investigation. As it turns out, the request for medical credentials violates a policy dating back to 2016, which was put in place by Delta after Dr. Tamika Cross, also black, was kept from helping a sick passenger on a flight. The airline’s official policy is that it no longer requires credentials in order for a passenger to be allowed to help someone. The passenger must simply state that he or she is a doctor, physician assistant, nurse, paramedic or EMT, according to the New York Post. After the story involving Stanford was made public, a Delta spokesman told the New York Post that she was actually on board a Republic flight, which is a Delta Connection carrier. 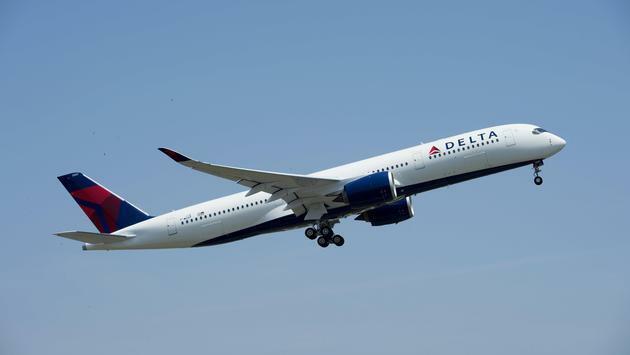 As a result, Delta said it will follow-up with its connection carrier partner to ensure their employees understand and apply Delta policy.